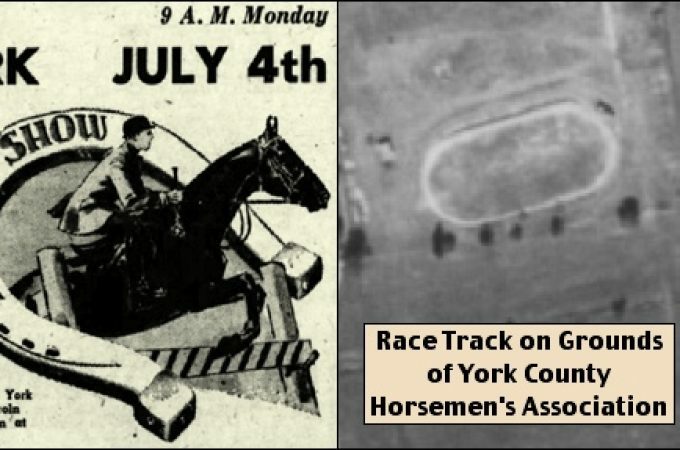 What are your top three Dempwolf buildings in York County? 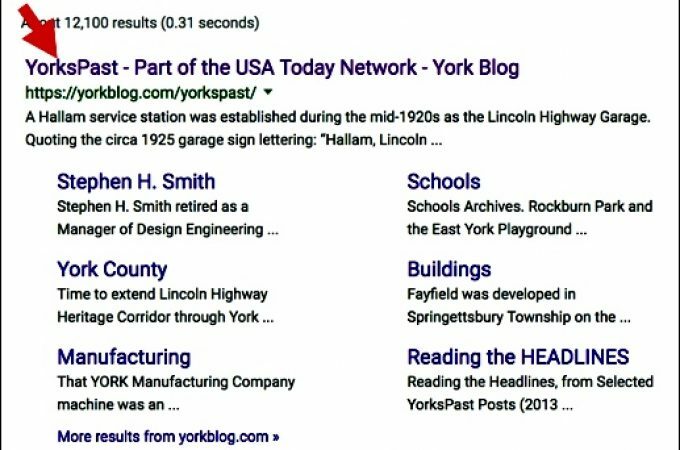 My list includes the Fluhrer Building at 17 West Market Street in York. I had never considered that question until it came up several months ago, during a jury duty lunch break. From our table in Cherry Lane Park, everybody else had puzzled looks as I pointed to the brick sidewall of the Fluhrer Building, as one of my top three picks. Later, they understood as we stood at the front of that building. The glazed terra-cotta tiles, covering the front façade of the top three floors, make the building glimmer in the sun. You will also marvel at the intricately crafted Italian Renaissance flair in the highlights. I told the group to return in winter, to get the full impact, i.e. without the tree leaves, or their shadows, obstructing the effect. My photos in this post were taken a few days ago; in early January. One of the neat bonuses about the Fluhrer Building is the unique terra-cotta year built plaque. On a blue background, white J A D letters, for building architect John A. Dempwolf, are included over the drawing instruments: a triangle, a compass, and a T-square. The year built, 1911 A.D., is broken into four segments; while an intertwining ribbon ties everything together. 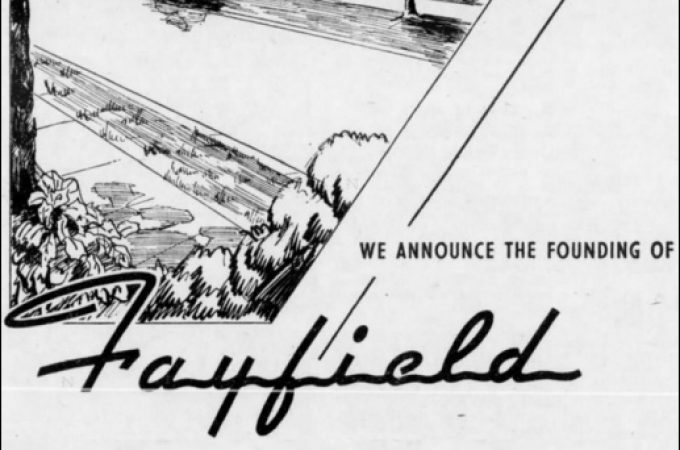 A search through old newspapers, coupled with original family history documents at Ancestry.com, provide an interesting portrait of William Fluhrer, the man who hired John A. Dempwolf to design the Fluhrer Building in 1911. William Fluhrer was born in York on May 27, 1857; the son of tailor Andrew Fluhrer and his wife Caroline. In 1871, William began apprenticing at the D. S. Wagner Jewelry Store in York and in 1874 he was elevated to the position of jeweler at that store. Ten years later, William left to establish his own jewelry business. In 1884, the first Fluhrer’s Jewelry Store was located at 123 West Market Street. 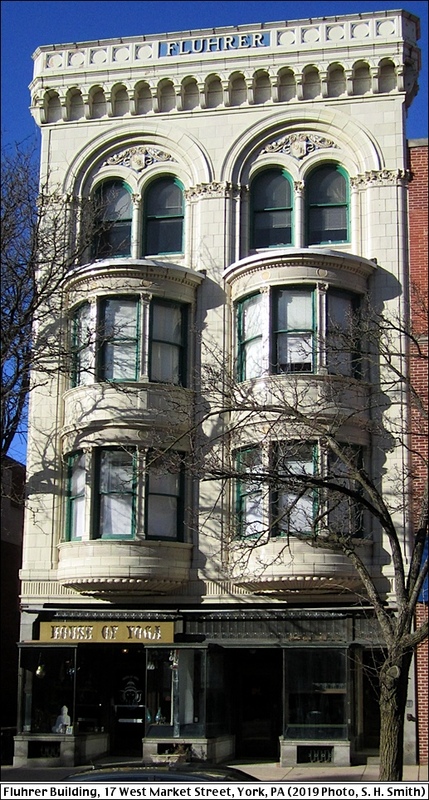 A growing business required an expansion during 1892; when Fluhrer’s moved into a larger storefront at 103 West Market Street. William Fluhrer’s store found its home with a November 1898 purchase of the Vandersloot property at 17-19 West Market Street. Fluhrer’s Jewelry Store was housed in the existing building on that property for the next 12-years. 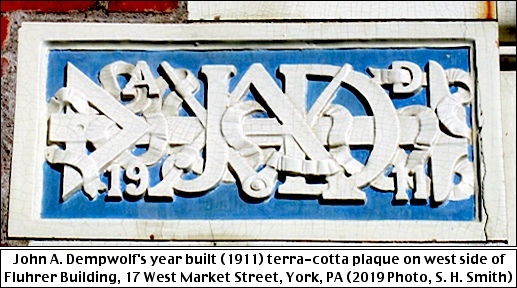 When the Vandersloot building was demolished, in order to construct the 1911 Dempwolf designed steel framed, brick building with terra-cotta front, Fluhrer operated his business out of the neighboring storefront. That 21 West Market Street building was razed during the late 1900s to create Cherry Lane Park; also serving as a shortcut from the middle of West Market Street’s first block to the Central Market House. Look closely at the arches above the fourth floor windows. The left shield contains 1884; the year William Fluhrer established his own jewelry business. 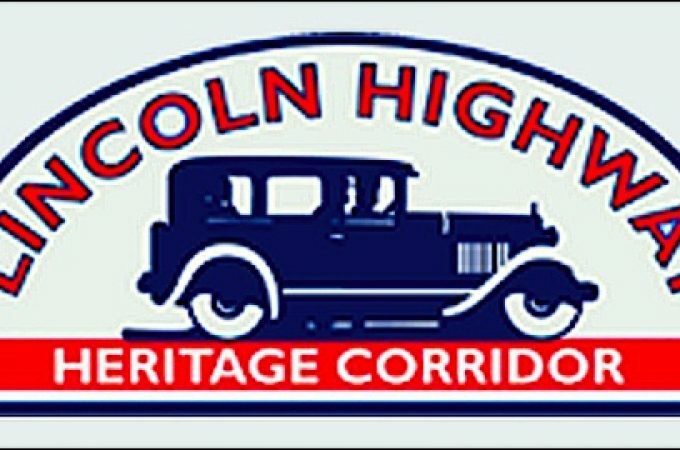 The right shield contains 1911; the year the Fluhrer Building was constructed. The Fluhrer Building cost $35,000 to build in 1911. Rudy Brothers had the contract for supplying stained glass in the Fluhrer Building. 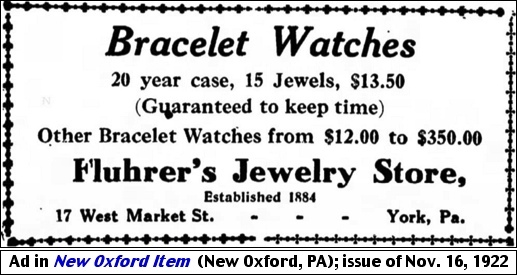 Moving forward, Fluhrer’s Jewelry Store ads continue to occasionally remind customers they were “Established 1884.” The following ad appeared in the New Oxford Item; issue of November 16, 1922. In 1927, William Fluhrer retired at the age of 70, after 53-years as a jeweler in York; with the last 43-years heading his own store. 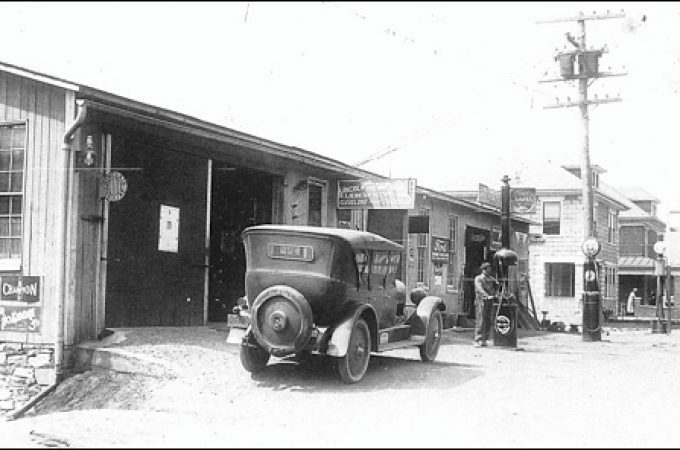 His son, Harry H. Fluhrer, took over as the next owner/operator of Fluhrer’s Jewelry Store in the Fluhrer Building. Fluhrer’s went out of business in 1979. 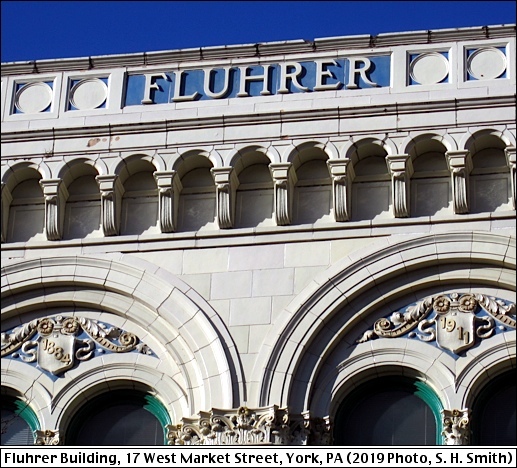 The following photo is a present full view of the front façade of the Fluhrer Building, at 17 West Market Street in York, PA.